Entry by Follower of Awesome! on Sun Jun 17 07:10:41 2012. I picture this art like this. Lin got her bending taken away by Amon and is now unconscious on the ground. 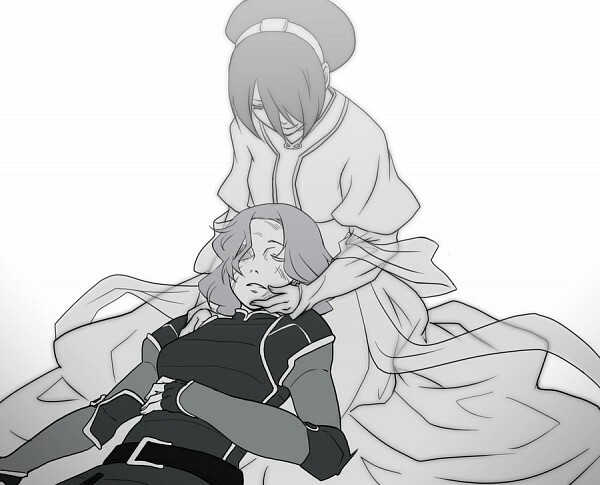 Suddenly Toph's soul emerges and whispers: "I am proud of you." Oh my if a scene like that was officially in the series then I can no longer hold back my tears.